The biggest court case in the history of Android was decided on Saturday, but Google has remained strangely silent about the $1.049 billion in damages Samsung now owes to Apple (until they undoubtedly appeal the decision). Yesterday, however, the company finally broke their silence, releasing a very short statement outlining Samsung's next steps while reassuring potential customers that the ruling will have little effect on the whole of the Android OS. Google sought to distance themselves from the judgement by writing that the the claims involved "don't relate to the core Android operating system." They then went on to say that several of the claims are being "re-examined by the US Patent Office." 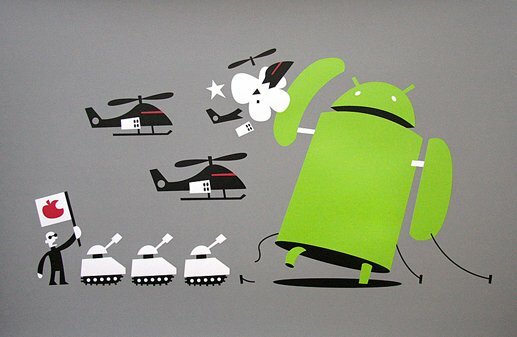 Google seems to be saying that Samsung was targeted because of the design of their hardware and the Touchwiz software used on their phones, but the rest of the Android ecosystem is safe from Apple's wrath because there is little about Android's OS which infringes. Google then went on to not-so-subtly critique the ruling, writing that its not in the interest of consumers to "limit innovation." This statement probably provides cold comfort to OEMs who are still in the cross hairs of litigation with Apple, including Google's own Motorola. But it's still undoubtedly important for Google to project an image that Android, as a whole, is going to be just fine. The court of appeals will review both infringement and the validity of the patent claims. Most of these don't relate to the core Android operating system, and several are being re-examined by the US Patent Office. The mobile industry is moving fast and all players — including newcomers — are building upon ideas that have been around for decades. We work with our partners to give consumers innovative and affordable products, and we don't want anything to limit that.